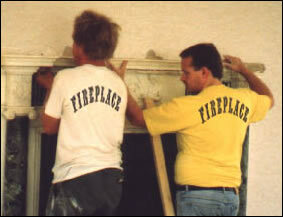 The Victorian Fireplace is a family business that will install fireplaces for both builders and public alike. We have established an excellent reputation for the workmanship of all of our fitters who are trained to the highest standards, fully insured and are fully registered with Hetas and Gas Safe. So you can be safe in the knowledge that your fireplace will only be fitted by a fully competent professional who is not only registered to a professional organisation but is just as importantly registered via the organisations to the Victorian Fireplace.